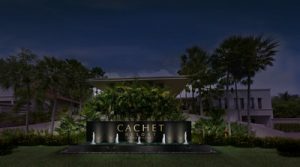 Cachet Hospitality Group today announced the signing of a management agreement for Cachet Resort Dewa Phuket, a conversion property owned by R&B Partners Co., Ltd. Located on Thailand’s largest island, the hotel marks the company’s second resort property and adds to Cachet’s expanding portfolio in Southeast Asia, following on the heels of the recently announced SAVANT Vela Hotel – Bangkok. Operations as a CHG managed property will begin May 2017, with interior renovations to be completed November 2017, helmed by Cachet Interior Design (CID). Set beside the tranquil shores of Nai Yang Beach, considered one of the most idyllic beaches of Phuket, this 128-room lifestyle resort is surrounded by azure waters and the lush green forest of Sirinat National Park. It is just a 7-minute drive from Phuket International Airport and only a 30-minute drive from historic Phuket Town. The sprawling property will feature CHG’s signature offerings, including a premium sleep experience, rejuvenating bath amenities, a grandiose arrival area, and global culinary experiences. On-site facilities will include two distinctive dining venues, approximately 1,000 square meters of meeting and event spaces, a luxurious spa, a fully equipped fitness center, a yoga-focused wellness center, a Kids Club, and two picturesque swimming pools. 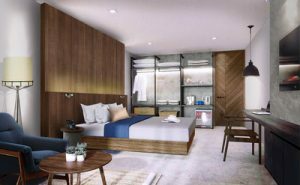 Reinterpreted by CID, Cachet Resort Dewa Phuket’s standard rooms, villas and residential suites will feature sleek, contemporary interiors with polished concrete floors, deep mahogany, black marble, coconut shell finishes, and exposed ceilings. The modern effect is balanced by incorporating classic Thai blue silk on the pillows, chairs, and beds and adorning the guestrooms with authentic Thai sculptures and artwork. The resort’s restaurants and bars will appeal to the globally well travelled as well as local long term residents, offering both Thai and international cuisine with personalized service and talented local and international chefs. The Aleta Restaurant Bar and Grill promises to bring something new and fresh to the Phuket dining scene. It will deliver a wide array of well crafted dishes fusing its Mexican heritage with Thai flavours in simply-prepared offerings with unique flavor profiles. Local fishermen’s fresh catch seafood will be on display and cooked guests’ desired tastes on the wood fired grill. Catering to wine enthusiasts, CHG will also bring Stonehaus, California’s renowned wine bar brand, to the resort. Guests can sip a glass of wine while looking out over the sea, enjoying simple and well prepared fair the will be matched perfectly with our wide range of wines by the glass or pick up wines to go as part of the wine club. Stonehaus will also feature fresh baked products, sweet treats and an incredible coffee program. In addition to its beautiful aesthetics and natural surroundings, Cachet Resort Dewa Phuket will be an epicenter of social events on the island, featuring the Cachet Pool Club. The pool club is the perfect place for intimate indulgence, large soirées or just simply chilling out. Cachet Beach Club will be an oasis within an oasis, with international DJ’s and local artist setting the scene for some of Phuket’s best Chill parties. The resort will be an indoor-outdoor destination for seaside weddings, private parties and corporate functions. Cachet Resort Dewa Phuket will be distributed on CHG’s revolutionary technology platform and participate in the platform’s loyalty program Cachet World. The technology platform is a lifestyle community that features a search and booking engine for boutique and lifestyle hotels and high-end residences worldwide. Through the platform, guests of Cachet Resort will enjoy interactive mobility, exclusive member rates, and personalized food and beverage experiences. Cachet Hospitality Group’s global portfolio, including properties in the pipeline, extends across China, Thailand, Mexico and the United States. With unprecedented opportunity for international growth, CHG is establishing itself as an international hospitality leader.